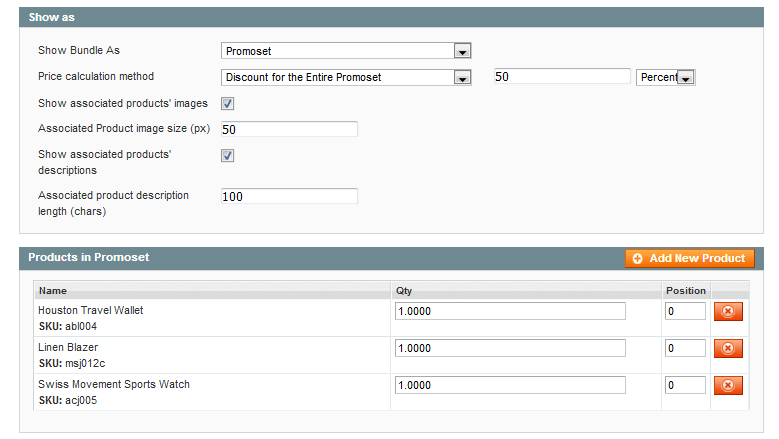 Convert bundle products with custom options to fixed promo sets using the Bundle Product Promotions extension for Magento. Apply percentage or fixed discounts to the whole set or for each bundled item, show or hide bundled items’ images and descriptions, show a detailed pricing breakdown, and more. 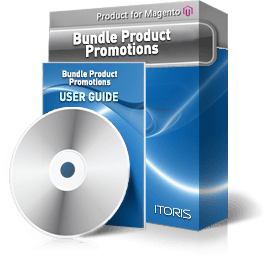 Bundle product promo sets are suitable for creating fixed product packages with discounts. 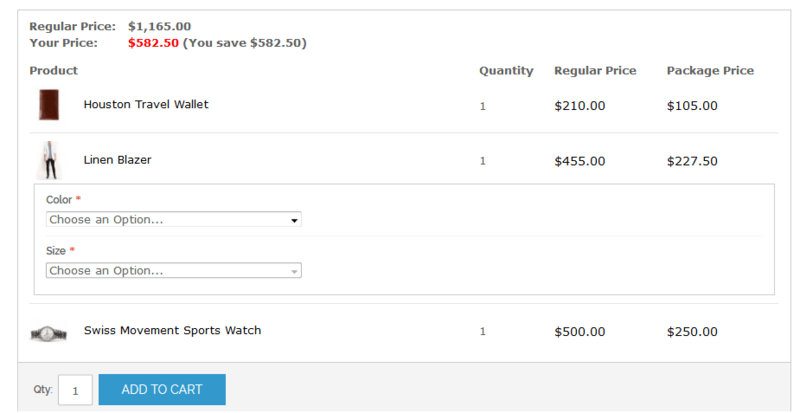 Using the extension you can easily bundle products with custom options and add percentage or fixed discounts to the whole set or for each bundled item. What’s more, this functionality is an option for default bundle products in Magento what definitely prevents conflicts. Adding a bundle product promo set to your store is one of the most straightforward ways to offer a few products together. To make your offer more appealing, you can put a discount on the entire bundle package or individual bundled items. This extension enhances Magento functionality by allowing you to create inseparable bundle products with fixed quantities and prices. Your customers won’t be able to change the items’ quantities. Now you can set up complex bundle offers and allow the customers to get product X for free, but include expensive products Z and Y into the package. You can easily create bundle promotions based on discounts for each item, items’ quantities and ability to add product options. Apply fixed or percentage discounts to the whole promo set or to each item separately. You can create various rules based on the selected calculation method: manual discounts for bundled items, fixed or percentage discounts for the entire package or fixed price for the entire promo set. Define what method can work for each bundle product and apply this effective discount pricing strategy. Product pictures act as brand ambassadors. By default, bundled items are listed without images or descriptions. This extension enables allows you to add a short product description and its thumbnail to get the full picture of bundled items. The extension also allows you to change the size of thumbnails and descriptions in the settings. Good product pictures and useful product information entice the customers to get the items and increases trust in your brand. Let your customers know how much they save by purchasing the entire package. With the help of our extension, you can show the regular and discount prices of your promo sets in the table on the Frontend. The pricing breakdown is also available in the shopping cart. Now you can build fixed packages with custom options. Let your customers customize the bundled items with options before purchasing using the Magento Bundle Product Promotions extension. If the custom options have prices, the final price will be changed excluding the discount method of fixed price for the entire promo set.